What role does each of the spices play? So I have this Garam Masala recipe that I use for almost all the Indian Recipes on this website. 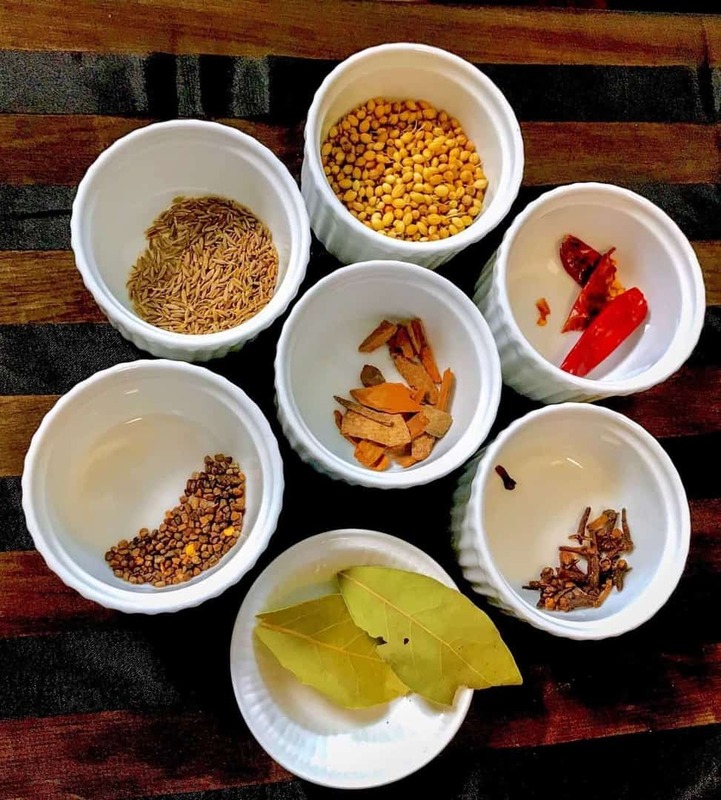 If you want to know why the quality of the Garam Masala matters, check out this little post here and I created a video to help you better understand how this works. One thing to note is that each family has its own Garam Masala recipe, so there’s no right or wrong in how this is made. There are also recipes that require you to toast the spices first, versus those that don’t ask for toasting. If you’d like to learn more about Cooking with Spices, check out either this video that teaches you how to cook with Spices, and you can also download these slides that explain the basics of cooking with spices. WHAT IS GARAM MASALA AND HOW TO MAKE GARAM MASALA AT HOME? Garam means hot, Masala means spice. Garam Masala is a mix of spices that forms the backbone of Indian Cooking. But here’s the thing. There’s no ONE recipe for garam masala. That’s like saying, give me a spice mix for soup. Well, hmm. What kind of soup? What part of the world are you from and what part of the world is this soup that you’re trying to make from? So every family has their own recipe for garam masala and every region in India has its own recipe. An ideal masala has a mix of sweet, savory, and spicy mixed in. You should also ALWAYS start with whole seeds. Always. Whole seeds maintain their fragrance forever. Once it’s ground, the seeds lose fragrance within just a few months. I highly recommend you make garam masala at home. Trust me, you do this once, and you will never buy ready-made garam masala ever again. Fabulous! I will know what to do next time I need some. Thank you! Yay! Glad that was helpful.